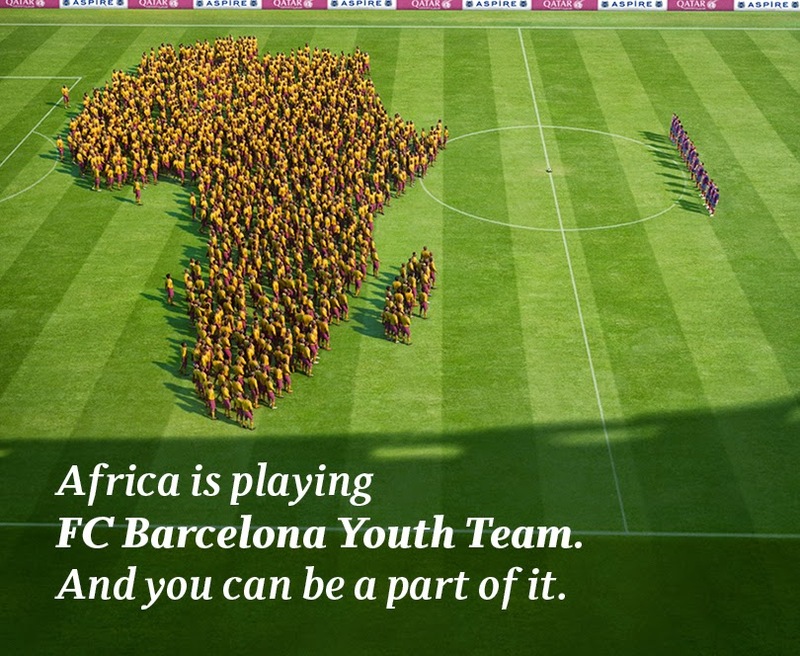 Sports Africa is Playing FC Barcelona Youth Team. And you can be a part of it. Africa is Playing FC Barcelona Youth Team. And you can be a part of it. Be part of "A Team That Unites Africa"
In an effort to support young football talents, Qatar Airways is partnering with Aspire Academy in this year's edition of Aspire Football Dreams project to find the best young football talents from Africa. Aspire Football Dreams is a unique and fascinating Corporate Social Responsibility football project, which currently exists in 14 developing countries on three continents, and aimed at identifying the future talents of world football. The selected players will form “Qatar Airways & Aspire Academy – Football Dreams Africa” and will be offered an unforgettable experience to play a friendly game against “FC Barcelona under 15’s Youth Team” in Barcelona, Spain. Sign up here today to show your support and you could be one of the lucky fans to fly to Barcelona to see them in action. We will randomly select 20 registered fans to be awarded One (1) Economy Class return ticket each on Qatar Airways, in addition to a Camp Nou tour ticket. It’s time for everyone to become part of a team that unites Africa. Spread the word! *Terms & conditions apply. Sign up is valid until Jaunary 31, 2015. Open to all countries in Africa. Supporters based outside of Africa are encouraged to spread the word by sharing with their friends.